Itongadol / AJN.- Within the framework of the coverage of the 70th anniversary of the independence of the State of Israel, the Argentinian Jewish News (AJN) Agency visited the Hadassah Hospital in Jerusalem, and spoke with Argentinian Doctor Malena Cohen, who is part of the Department of Pediatric Pneumonology. – I received a medical degree at the University of Buenos Aires and two months later, in August 2000, I made Aliyah [emigration to Israel] with my husband and my son, who was one and a half years old. I was lured by a job proposal. I had lived in Israel with my family when I was a teenager and I had always wanted to return, so everything came together. Here at Hadassah I did the re-validation of my degree, a year of rotating internship, a four-and-a-half-year specialty in pediatrics, and then two and a half years of sub-specialty in pediatric pulmonology. I have worked in Hadassah for 15 years and I have dedicated myself, above all, to chronic diseases. – What are the benefits of this hospital? – Hadassah is one of the most recognized hospitals in Israel and the world, both at a clinical and research level. 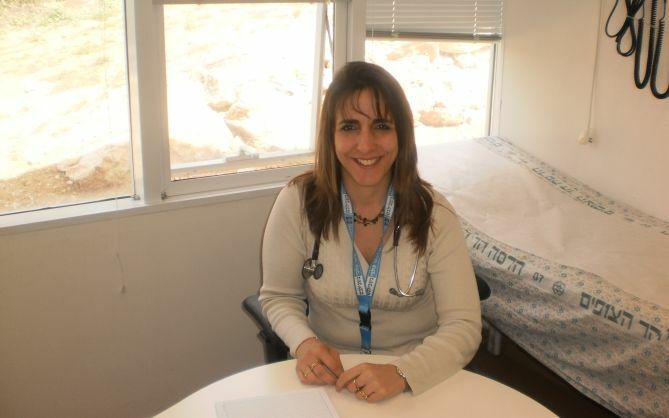 When I lived in Argentina and thought of developing myself as a doctor in Israel, Hadassah was like a dream … One of the qualities of the hospital is that, being in Jerusalem, we serve a population that is very heterogeneous in culture and religion –Jews, Christians and Muslims–, and that can be seen very clearly in the Department of Pediatrics every day. – Can we say that this coexistence is as important as the medical part? – All come with the same concerns, diseases and problems, beyond the social issues, and as doctors we feel obliged to treat everyone equally. When I see very clearly how these patients and families coexist, I feel very comfortable doing it. The State of Israel is made up of people who came from many countries. Its population is very heterogeneous and coexists. I think part of our role as citizens and professionals is tolerance, accepting the other beyond their beliefs, and that is very clearly seen in Jerusalem and in the hospital. – Did you get a lot of attention when you arrived? – Yes, because what one hears and imagines from the outside has nothing to do with reality. When you see that in the same hospital room there is a Jewish Orthodox lady with a baby, a Muslim woman (covered so that only her eyes can be seen) with a baby, and in another bed there is a Catholic child, you realize that the disease is everything. They have learned to live with one another. For several projects that I have in South America I have had to travel to several countries such as Chile, Argentina and Uruguay, and I try to show this reality: I show photos of what happens and I tell about our initiatives. One of our major projects a few years ago was to help to create a Chronic Cystic Fibrosis Disease Center in the Gaza Strip. For a year kinesiologists, nurses, and nutritionists came to the Hadassah hospital… and we prepared a course to train them. When I tell this to people outside of Hadassah, people are “frozen”, they cannot believe it, and well, that is also part of my mission. – What happens with Latin Americans in the hospital? – There are many, both Jewish and non-Jewish, who come permanently or who come to do a residence for a few years, because they want to be a part of a center of reference and excellence. Some stay, many turn. – And what are the benefits of this hospital regarding the quality of pediatric treatment? – We are a very large center for genetic and chronic diseases in children. And now, because the survival rate for many of these syndromes is greater than before, we continue to treat them as adults. I think that our multidisciplinary approach is revolutionary. For example with cystic fibrosis, we work together as a team with pneumonologists, gastroenterologists, endocrinologists and specialists in disciplines that have to do with the disease, such as nutritionists, kinesiologists, social workers … In the past what happened was that the patient was treated one day by the pulmonologist; then on another day the parents had to take him to the endocrinologist, and then they had to go to the kinesiologist … The idea here at Hadassah is to make it easier for the family to see all the specialists in one day. We also have a National Downs Syndrome center (which is the only one in the country, with more than 1,500 patients), with the same multidisciplinary approach: doctors, kinesiologists, social workers and psychologists work together on the patient. We have centers of excellence in chronic diseases which are very innovative, and set an example for other places around the world to follow. – What were the most relevant facts in pediatrics for the last 20 years? – There were many advances. In Hadassah we not only stand out for clinical excellence and the service we give to patients, but also for research. In Pneumonology we work a lot with the most frequent genetic diseases in the Arab population, which has its peculiarities because of consanguinity. We have published several works where we found genes for certain diseases that were not known worldwide. For parents who want to have more children, now we offer tests to detect these diseases before conception. – What is the pride of being part of all this?